As discussed in yesterday's post, when someone's ethics suddenly come into a new light in the public eye, the astrological culprit tends to involve Jupiter and Pallas. Yesterday we looked at John Podesta's transits on the day of the Wikileaks publishing of his emails. 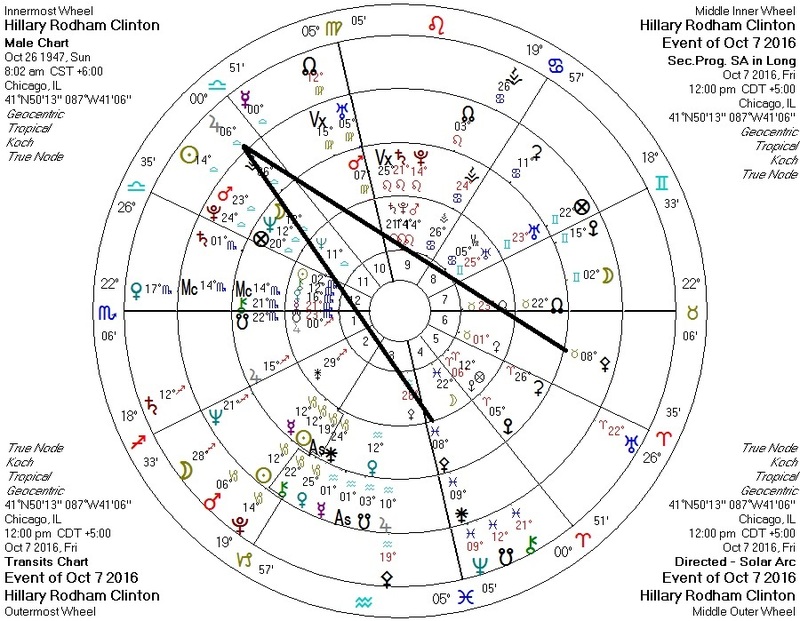 Today, we see that Hillary Clinton's transits on the same day reveal a similar pattern, with transiting Jupiter forming aspects with both her progressed and solar arc Pallas. Persons with wrongdoings they'd rather not come to light should view the Jupiter-to-Pallas transit with some trepidation.